Like a proud parent, Howard Go was beaming when a game his company developed earned a coveted place of honor at the Global Game Exhibition G-STAR 2018 in Busan, South Korea. 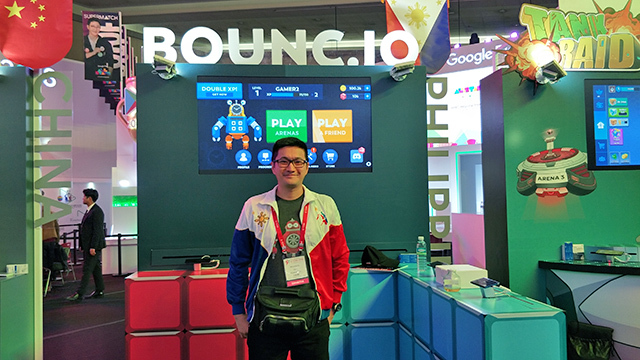 Google Play had picked Bounc.io, a game developed by a company Go co-founded called MochiBits, to be featured at its giant booth at the three-day convention and exhibition, the first ever for a Filipino-made game. 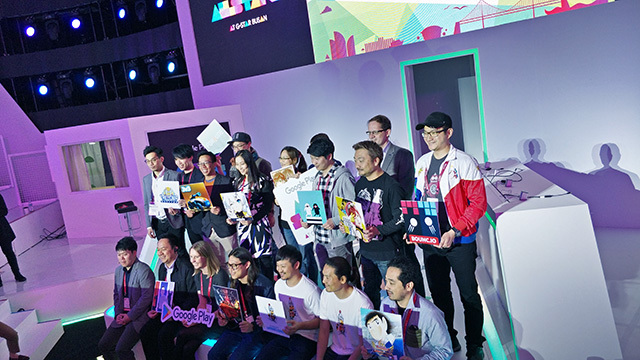 This was the first time Google Play had presented games developed outside Japan and South Korea, its two largest markets in Asia, at the global convention. 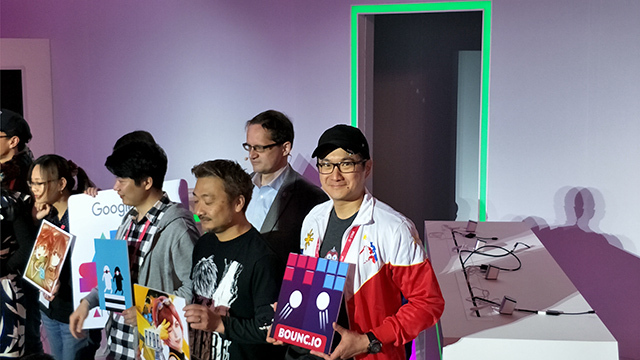 Alongside nine other Asian-developed mobile games, Bounc.io took center stage at GooglePlay’s hall at the Busan Exhibition and Convention Center (BEXCO) from November 16 to 18. The three-day convention is a yearly affair held in South Korea and is considered one of the largest of its kind in the world. For this year, Google Play, the official app store of the Internet giant for Android users, leased an entire hall to showcase the independent game developers it supports during the event. It’s hard to imagine that when he was in his early 20s, Go didn’t even program, much less build computer games. He was a Philosophy instructor at St. Louis University in Baguio City for four years, after which he joined a telecom company where he worked his way up and became a vice president. And then he quit. “My biggest frustration was that I don’t get to make a decision in key things. And when there are some things that have to be done I would have fight fire to fix it. And if it did well, I wouldn’t really reap the rewards since I’m just an employee. I wanted to do something on my own,” Go recounted his startup story at the sidelines of G-Star. Keen on making it on his own, Go took inspiration from the success of smartphone games Angry Birds and Cut the Rope, apps that were developed by independent companies with lean teams. Together with his partner Kyle Yamamoto, Go founded MochiBits in 2010. The former telco executive admitted he had to study coding and game development for over a year, not even formally, as he almost always just took advantage of the content available online for free. Today, MochiBits has developed and published at least five mobile games that are available both for iOS and Android devices. Since the beginning, the company has mainly focused on word and brain games, having found success in the genre early on. The first game the company created, SwipeTapTap, became a hit in two months’ time. “It’s also how most game developers start out. They build word games at first then upgrade to arcade games and adventure games later on,” he said. MochiBits still hasn’t diversified to other genres as it continues to find success in word games. Two of its three flagship mobile games already have more than 15 million downloads in total on Google Play. The company is hoping its newest offering—Bounc.io—will be its next big thing. Bounc.io’s principle is simple: let the ball bounce and break the blocks on screen. What makes it more exciting though is that you can either play against a friend or with another random user online. To make it more attractive, the game also allows users to earn “blocks” that would help them build an avatar of their own in the platform. So far, it already has over 10,000 downloads on Google Play with a respectable rating of 4.6 stars. Go’s career transition has paid off. These days, the game developer can easily earn a monthly salary more than double of what he used to receive as a VP-level executive in a telecom company. And now that he is almost on his ninth year in game development, the longest he has ever stayed in a job, the Filipino game developer is looking not just at the success of his company but of the local industry, too.